I see my face-to-face clients at my practice in Tuggerah on the Central Coast of NSW. The location is centrally located within the Mariners Centre of Excellence, is close to public transport and is wheel chair accessible. There is even a wonderful café downstairs if you would like to treat yourself. I understand that finding and accessing a good therapist is not always easy depending on your location. To assist you in this regard, I also offer online and phone consultations to clients across Australia. You can book your session with me below. The booking system is easy to use, but if you cannot find a suitable time please feel free to contact me as I may have some flexibility and I keep a short waitlist in case other times become available. As you can appreciate, the time set aside for you cannot be rescheduled at short notice. Sessions cancelled with less than 24 hours’ notice incur a cancellation fee of 50%. For appointments missed without notice, the full session fee is payable. I also offer a 10% discount for six sessions booked ahead and pre-paid. This package may be purchased at any time during our work together, please speak to me in person about this offer. If you have an NDIS plan which includes Improved Daily Living Skills i can provide you with NDIS approved Counselling. I accept Cash, Visa, Mastercard, PayPal and eftpos payments. It is my preference that quality Counselling & Psychotherapy be accessible for all people. I understand that sometimes we can face difficult financial times. From time to time, I have the capacity to assist people by reducing costs of sessions in special circumstances. If costs are stopping you from seeking support, please reach out to me to discuss your circumstances. 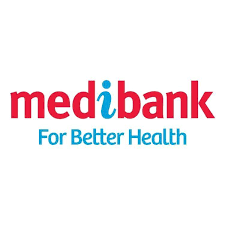 I am registered with Medibank & Bupa Health Insurance. Rebates may be available depending on your Policy.